The most crucial aspect of language learning is vocabulary. It takes time to learn. It gets forgotten all the time. And there seems to be never enough of it when you most need it. And yet, there is the most trivial solution to this problem. You know, un solución trivial. Una soluzione triviale. Uma solução trivial. And if you understood all the italicized above stuff, you already applied it. You’ve just used your knowledge of cognates in language learning. Here’s why you want to keep doing so. Cognates in language: what they are (and what they are not)? It’s somewhat phenomenal, but what people usually mean by “cognates” are not cognates at all. First of all, folks like to put this label on any two similarly-looking words from two different languages (like French blessé and English blessed). Then, if these two words have a related meaning, they call them true cognates. If not, they tag them as “false cognates”, or “faux amis”, or, whatever bad words they find appropriate. All these and many other words mean “night”, thanks to their grand-grand-grandpa the Proto-Indo-European *nókʷts that meant – that’s right – “night”. The same term “cognates” also refers to tongues that have common “ancestry”. You know, like all those Romance languages that look so annoyingly similar because they all are descendants of Latin? And it makes perfect sense. Cognates in languages are the result of borrowing, which is the ultimate product of any shared period of history. So the more genealogically related two languages are, the more cognates you can expect to find. Russian, for example, has a boatload of sli-i-i-i-igthly altered French loanwords. And why? Because that’s what our aristocracy did in the XVII century: spoke French and enriched plain Russian vocabulary with fancy Parisian words. In a similar way, Tagalog acquired a bunch of Spanish-looking words, thanks to colonists from mainland Spain. How to use cognates in language learning? Cognates have a huge “propelling” power. 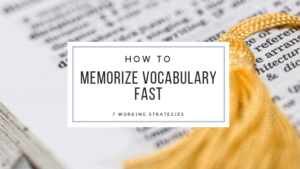 They comprise a part of your target vocabulary that you already understand. Can’t you? 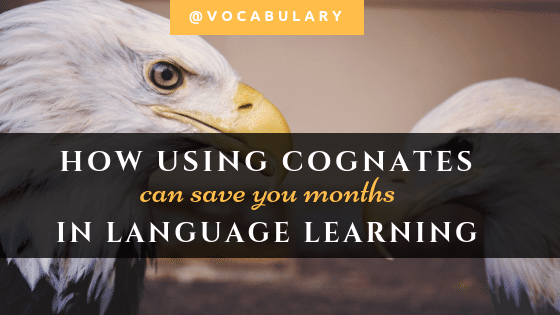 Now, how can you start using cognates to learn languages faster, understand better, and explain yourself with no problems? The good starting point is to actually understand how your mother tongue is related to your target language. If you are a native speaker of English, you’re well-set by default. List of English cognate languages includes all those “Romance family giants” like Spanish, French, Portuguese, and Italian, as well as Germanic languages like German and Dutch. (English had a wild history). So if you’re learning Spanish, you automatically start with a vocabulary of 20 000 words. That’s the number of Spanish-English cognates (or at least those recognized by NTC’s Dictionary of Spanish-English cognates). Moreover, about 90% of cognates would typically have the same meaning in both languages1. Now you know why Romance languages can be picked up so quickly by native English speakers. What, has the word “morphology” already made you sick? If you know word-forming rules or at least a general correlation between English and Spanish derivational suffixes, you can transform many English words into Spanish ones. Once you learn that most of English nouns that end on -ty correspond to Spanish nouns that end on -idad, you can get from city, activity, reality, security, society to target forms ciudad, actividad, realidad, securidad, sociedad fairly quickly. It’s not going to work its magic every single time because, well, not all English words have Spanish cognates. But you shouldn’t underestimate their potential. As you had a chance to notice, cognates in languages look very similar, thanks to orthography. That’s why these words are your best friends when it comes to reading in another language. You can open Spanish El Confidencial, or French Le Monde, or Italian El Messaggero, even if you never tried to learn any of these languages, and still be able to understand at least a few headings. The problems start in speaking, as usual. After seeing a beautiful set of Romance “really”-s (French réellement, Spanish realmente, Portuguese realmente, Italian realmente), you may be tempted to conclude that they all sound the same. In fact, French drops “nt” sequence and nasalize the vowel so you get something like “realmo” (/ʁeɛlmɑ̃/). Portuguese turns “r” into “h” and “t” into “ch”, so you hear “healmenche” (/ʀiaɫmˈẽtɨ/). Spanish and Italian do sound the way they look but they too have language-specific pronunciation (such as rolled r). Similarly, English -tion, French -tion, Spanish -ción, Italian -zione, Portuguese -ção sound very differently. So don’t be misled by orthography and take your time learning how cognates in languages are actually pronounced. What about false cognates in languages? If you’ve even gotten through an institutionalized language learning program (such as one in your high school), there must be a deep-rooted fear of false cognates in your head. Right, won’t they inevitably make you embarrassed? Or pregnant? Brand Failures, the luxury-pen-company “saved” on hiring a professional translator and entered the Mexican market with a telling slogan “It won’t leak in your pocket and make you pregnant”. What American company did want to say is that their new ink Quink won’t embarrass a proud owner of a Parker pen by leaking in their pocket. But Spanish embarazar meant something else because it simply wasn’t related to English embarrass. But who knew about it at the time. So how can you avoid getting into a trap of false cognates? False cognates or false friends? First of all, what people call false cognates (things like Spanish pie – “foot” and English pie – well, “pie”) are actually false friends. To be real false cognates two words must have nothing in common etymologically. English much and Spanish mucho are false cognates because they have no common origin. English much developed from Proto-Germanic mikilaz, while Spanish mucho – from Latin multum. They ended up looking like two twins, having the same meaning, but being unrelated. False friends, on the other hand, may or may not have a common origin. To be false friends two words just have to look alike but mean different things. Take library and librairie, for example. English library means a library, a place where you borrow books. French librairie means a bookstore, or a place where you buy these very books. These two are indeed false friends, despite being true cognates. Should you be afraid of “false friends”? Dry statistics would tell you that the number of faux amis is comparatively low compared to the number of true cognates in languages like English and Spanish. It means that going with your gut and treating similarly looking words as having the same meaning would generally have a positive outcome. Yes, using cognates may have side-effects. But as long as you don’t fail someone’s marketing campaign with your “translation”, it won’t have much impact. First of all, saying “pregnant” instead of “embarrassed” won’t be one and only mistake you did in Spanish. There would be dozen of other grammar/pronunciation/vocabulary problems that indicate your interlocutor that you’re just a learner of Spanish, and probably a beginner. So it won’t be a deadly mistake in any case. Second, as you advance in your proficiency in a foreign language, you’ll learn not to slip on these faux amis. It’s just a matter of time and exposure to the language. You’ll notice that French words location and coin appear in slightly different contexts from their English counterparts. So’ll intuitively feel that they mean different things. That’s it. The fear of using cognates in language stems from only one source – the fear of making a mistake. The real false friend here is actually that fear. And you want to get rid of it. And immediately. This is the only way to learn a foreign language: make stupid mistakes, as many as possible, as often as your ego can bear. And using cognates (whether they happen to be false friends or not) can be your first step. Hey! I am Alina Kuimova, and my long-lasting obsession with learning languages led to creation of this site. Apart from being a grammar enthousiast, I enjoy reading smart books in any language available, finding easier ways for the brain to learn things and buffing productivity stats by 180%. Nakov, Svetlin & Nakov, Preslav & Paskaleva, Elena. (2009). Unsupervised Extraction of False Friends from Parallel Bi-Texts Using the Web as a Corpus. International Conference Recent Advances in Natural Language Processing, RANLP. 292-298. 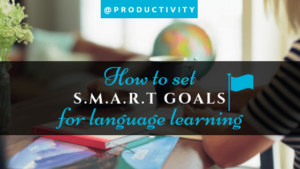 Goals we set ourselves are the major reason why we fail in language learning. In this post I explain how to fix your goal in S.M.A.R.T. terms and ultimately crash it. 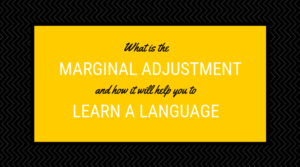 Get language learning hacks based on proven linguistic research. © 2018 Linguapath. All rights reserved. Disclosures.